The Kashmir Company's Seasons Kashmir Shawl Collections. As wondrous as the first green leaf of spring high up in the Himalayan range, as intense as the blue sky of a perfect summer day and orchards filled with apples and cherries, as festive as the harvest of fall and maple leaves blazing a fiery orange across the Kashmir valley, and as breathtaking as the first snowfall of winter covering the mystic land in a pure white blanket – Seasons Shawl Collections is an exclusive, exquisite, and timeless collection of hand made and hand embroidered shawls from Kashmir meant for only those with the most distinctive taste. Kashmir valley is referred by locals as ‘Paradise on Earth’. Surrounded by the snow capped mountain ranges of the mighty Himalayan ranges, this is a land of magnificent Himalayan glaciers, luxuriant white flowers blooming in the almond orchards, flocks of snow white sheep grazing in the highland pastures, white waters of mountain streams gushing down into the meandering river Jhelum and fluffy white clouds reflected in the majestic Wular lake and the beautiful Dal lake as they float by in the clear blue sky. Each an ‘ivory’ vignette of the beautiful spring-summer season in Kashmir. And as winter arrives, a white blanket of snow covers the surrounding mountains and Kashmir valley, freezing the many lakes and turning the valley into a winter wonderland. Inspired by the beauty of white captured so eloquently by nature in Kashmir, we have created the Ivory shawl collection – an exclusive offering of elegant 100% hand embroidered Kashmir shawls in shades of ivory on 100% Kashmir wool. Each and every ivory shawl breathtakingly exquisite and unique, any shawl in our Ivory shawl collection can make a summer day or night special. A wedding or a walk on the beach with a special someone, a Sunday afternoon stroll through the shopping district, a graduation, a homecoming, a christening or afternoon tea with friends – the possibilities are endless and making an elegant statement subtly and beautifully is just a shawl away. ‘Reshum’ in Urdu language means silken thread. Inspired by the Great Silk Road, the Kashmir Reshum Silk Shawl Collection is an exquisite collection of embroidered shawls made of 100% Kashmir silk. The intricate silk hand-embroidery on these lustrous shawls further enhances the beauty of these very exotic and one-of-a-kind ivory, white, cream shawls. Kashmir shawl has been characterized by the boteh (or buta,meaning flower),the principal motif with which the shawl is associated. This repetitive curvilinear shape has been known by many names since its first appearance on shawls in the eighteenth century - most famously called paisley. The development of the Kashmir shawl is closely related to the development of the boteh motif; the motif’s different forms express different periods in the shawl’s development. It began in the Mogul period as the flowering plant and by the middle of the nineteenth century it had developed into an extremely stylized form of sweeping sinuous curves far removed from any resemblance of nature’s flora. The Kashmir Paisley Shawl Collection is all about the ‘boteh’ design that Kashmir embroidered paisley shawls are famously associated with. Hand embroidered on 100% Kashmir wool, all embroidered shawls in these paisley shawls have a myriad of paisley designs ranging from the simple to the very complex using naturally colored bright threads that further emphasize the beauty of this famous paisley motif. Inspired by the beauty of this famous garden we have created the Nishaat Collection of hand embroidered shawls. This flower garden shawl collection, just as its inspiration, is elegant and timeless and has been hand embroidered using traditional skills that is as old as the garden itself. These flower shawls are 100% hand embroidered on 100% Kashmir wool, by master shawl craftsman from Kashmir, with sinuous vines and flowers that capture the breathtaking colors of the seasons in Nishaat Garden. Symbolic of new beginnings, the stunning embroidered shawls in the Nishaat Shawl Collection are perfect to make any occasion memorable and any moment special. In a famous magazine founded by Charles Dickens, an article in 1852 read : ‘ If an article of dress could be immutable, it would be the Kashmir shawl ; designed for eternity in the unchanging east; copied from patterns which are the heirlooms of caste; and woven by fatalists, to be worn by adorers of the ancient garment, who resent the idea of the smallest change…’. Inspired by this myth and romance associated with the Kashmir shawl and the ‘unchanging and mythical east’, we present the Far Pavilions shawl collection which has intricately hand embroidered wraps with beautiful floral designs on 100% Kashmir pashmina, wool and silk. The Taj Mahal is the symbol of one of world’s greatest love stories , of a King’s love and devotion for his beautiful queen , and the tomb he built for her to lay for eternity. Kohinoor was the diamond installed on top of Taj Mahal’s famous dome, known to have been the largest diamond of that period, desired by none other than the Queen of England. Many wars were fought over the Kohinoor, eventually the Kohinoor was acquired by the British empire when India was its colony and was sent as a gift to the Queen. Inspired by one of world’s most beautiful and desired diamonds, the Kashmir Kohinoor shawl collection consists of some of our finest and most exclusive embroidered shawls in bright jewel colors. 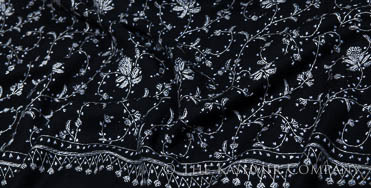 The embroidered shawls are 100% Kashmir wool, cashmere and pashmina with delicate and full embroidery. Inspired by an era of royal French patronage heralded by Queen Josephine we have created an exclusive shawl collection befitting a queen. Consisting of a selective few exclusively commissioned embroidered shawls, each imperial heirloom quality shawl in this shawl collection is hand woven of the finest Himalayan pashmina wool. 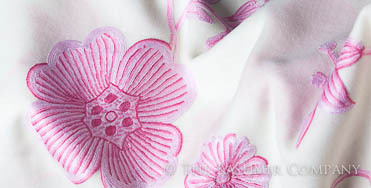 Exquisitely hand embroidered, these embroidered shawls have each taken about 6-12 months to complete. The embroidery style of these embroidered shawls is sozni embroidery. This exclusive luxury shawl collection is an ode to the Kashmir artisan, reflecting the very best of their royal craftsmanship. The Moguls, inhabitants of the vast steppe land of Central Asia , were a race of warlike nomads who conquered northern India in the early part of the sixteenth century. Under Mughal rule, Kashmir abandoned its isolation and attracted settlers from all over Asia. As renaissance was flourishing in the west, the orient too was experiencing great artistic achievements. 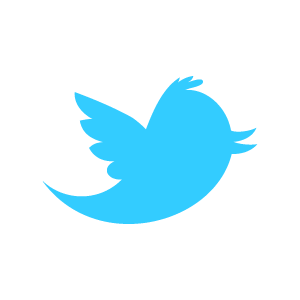 The Mughal period represents an important and prosperous moment for the Kashmir shawl especially the Kani shawl. Kani shawls are weaved using special types of wooden needles ‘tojis’ and requires intricate weaving skills and lengthy time. These hand embroidered Kashmir wool Shawls is one of the most exquisite and exclusive offerings of Kashmir Shawl Collections. A riot of colors, this masterpiece has been created by an award winning Kashmir craftsman, his art inherited from past generations as a family tradition. The entire body of the shawl is covered with hand embroidered small and large flowers, buds, leaves and vines in colors that capture the bounty of nature in spring and summer. These shawl have taken the artist 3 to 12 months to hand-embroider and much attention has been paid while hand embroidering to ensure that every little detail of the patterns and motifs are captured. The 100% hand embroidered Kashmir wool ivory shawl has its entire body hand embroidered with flower motifs, leaves and vines. The density of the embroidery is such that there are only glimpses seen across the body of the shawl of its ivory base. In shades of red, green, yellow, orange, purple and green this shawl captures and breathes the beauty of spring in the valley. This magnificent shawl is recommended for any special occasion provided the one wearing the shawl can handle being the center of much attention and conversation. Beautiful hand spun Kashmir raw aspen Gold Silk Shawl with elegant hand-embroidery make this silk shawl unique and absolutely stunning. This silk shawl has been woven using two colors - one color silk threads for the vertical weave and another color for the horizontal weave. Because of the colors used in the weave and the type of weave, the silk shawl has a very exotic shimmer that makes it absolutely breathtaking. The hand embroidery on the silk shawl is vertically aligned along its two ends, a band consisting of large flowering vines about 20 inches wide. The colors used for the embroidery compliment the base color of the silk shawl.